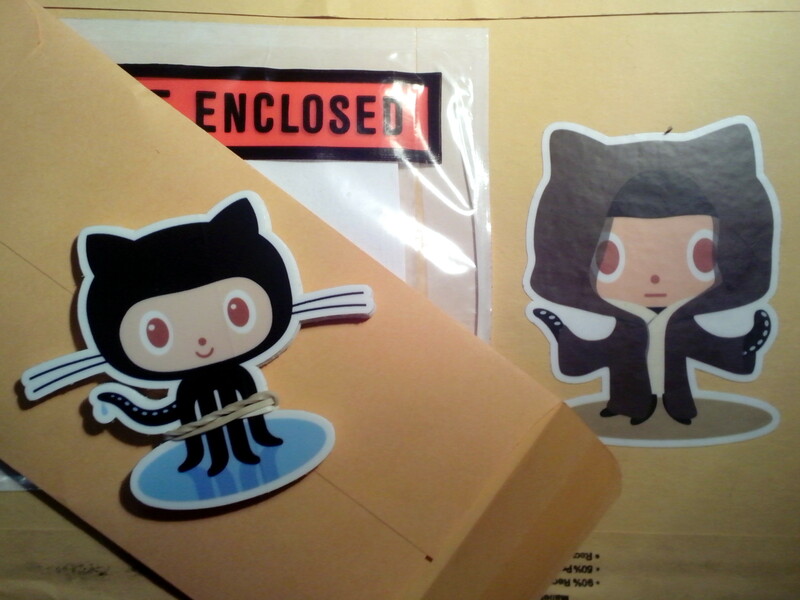 After month of waiting1 I have finally received package from GitHub Shop with a bunch of Octocat stickers. Stuck one on my notebook, one on my front door and gave a few to a friends. Pretty cute little things. Definitely, Github has gained so much popularity thanks to mascot. Now for the code. As you may know, recently Rust 0.9 had released. Today I was updating code in my small rosetta repo (solutions for rosettacode) and discover one funny easter egg. Here is a program for finding the limit of recursion in Rust 0.9 (version for Rust 0.8 differs only by printing line). wonder which was ours before we were wise and unhappy. Folks from #rust on irc.mozilla.org said that theoretically this code must print something like task '<main>' has overflowed its stack, but overflow probably occurs in println statement, so we have this nice Lovecraft quote instead.